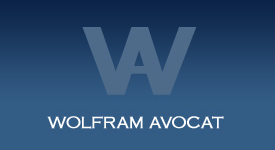 WOLFRAM law firm supports your company during all phases of its life, in particular its constitution, its development in France and in the international field, its growth, its strategic and commercial partnerships. We support all the commercial aspects linked to the company such as commercial property assignment (“fonds de commerce“), agency contracts and franchise. Our litigation experience allows us to assist our clients in the litigation procedures in front of the commercial courts. - Contract law – distribution agreements – assistance to contractual negotiation in English, French and German language; – International trade – international private Law; – Commercial litigation (French and international) and representation at all French Courts. - Communications Law – Intellectual Property- licensing – IT/ Computer law. - Consultant – IFEJI Expert (The French Institute of International Legal Experts).